With 35.4 million international visits, the gorgeous country of Thailand is one of the most visited countries in the world and among the popular international getaway for Indians. It’s diverse topography, rich culture, stunning beaches, glittering temples, mesmerizing nature, and buzzing nightlife has constantly enthralled travelers. Popularly called as the Land of Smiles, Thailand is a complete destination for family holidays, a break with friends, a romantic getaway and also the perfect setting for a wedding and honeymoons. If you want to visit this fabulous country and experience its authentic culture as part of Thailand Tour Packages then go through our comprehensive Thailand Guide for a hassle-free holiday like none other. Whether you are a foodie, a temple hopper, an adventure seeker, a beach bum or a cultural lover, there are endless reasons to visit the Kingdom of Thailand. If you are living on a different country and would want to have a vacation in Thailand, for sure you need a valid visa from Thai Embassy. The type of visa needed to enter Thailand depends on several factors such as your nationality, intended purpose of visit and its duration. But, all foreign visitors need to provide their valid return tickets, passport, and sufficient funds for expenses during their stay. There are different rules for people from different countries to get a valid visa to enter Thailand. There are 57 countries that have bilateral treaties with Thailand and their nationalities are granted visa exemption. Under the Visa Exemption Program & Bilateral Agreements, there are 5 countries that are granted 90-day permit to stay and 50 countries are granted 30 days and 2 countries are granted 14 days stay in Thailand. Besides, Thailand also offers Visa on Arrival option for 21 countries. Luckily India is one of those countries which have the option of Visa on Arrival that is valid for 15 days. For more than 15 days visit, Indians have to apply for visa in advance at the Royal Thai Embassy in any of these three cities – New Delhi, Chennai and Kolkata. Indian nationals, who are visiting Thailand for the purpose of leisure, sight-seeing and personal enlightenment, need a tourist Visa. This is the most common type of VISA that travelers apply for. It is stamped on your passport upon arrival at the airport in Thailand, or it can be obtained in your home country through the Thai embassy or consulate located there. Valid for a period of 15 or 30 days, this tourist visa cannot be used for work or business purposes. The tourist visa can also be extended for 30 days if necessary. There are two ways of getting a tourist visa. Indian passport holders who are visiting Thailand for Tourism can avail the Visa on Arrival service from the 32 designated channels of Immigration checkpoints. It is ideal for Indian tourists who wish to explore the country within 15 days as part of Thailand Packages. The Visa on Arrival can only be extended to 7 days by paying 1900 Baht at the Thai Immigration office. However, it can be extend only for valid medical reasons. The single entry visa is stamped on your passport upon arrival in Thailand and is available 24 hours at Phuket International Airport, Don Muang Airport, Suvarnabhumi International Airport, Samui Airport, Chiang Mai International Airport, and Hatyai International Airport in Thailand. If you enter Thailand by land via Cambodia, Laos, Myanmar and Malaysia without a prior visa, you shall be granted a Visa for only 15 days at the designated Immigration checkpoints. Depending on the passenger traffic, the process can take anywhere between 10 minutes to an hour. Confirmed Booking for Return Flight within 15 days as the Land exit from Thailand is not accepted as proof of exiting Thailand. Visa on Arrival application fee of 2,000 Baht & is subject to change without notice. It must be paid in cash and Thai currency only. If you are arriving at Suvarnabhumi Airport in Bangkok, you have the option of filling your visa form online, printing a copy and carrying it with you. This can massively speed up your application process. The Visa on Arrival service may sometimes have a long queue, so you can fast track your application by paying an extra 200 Baht. 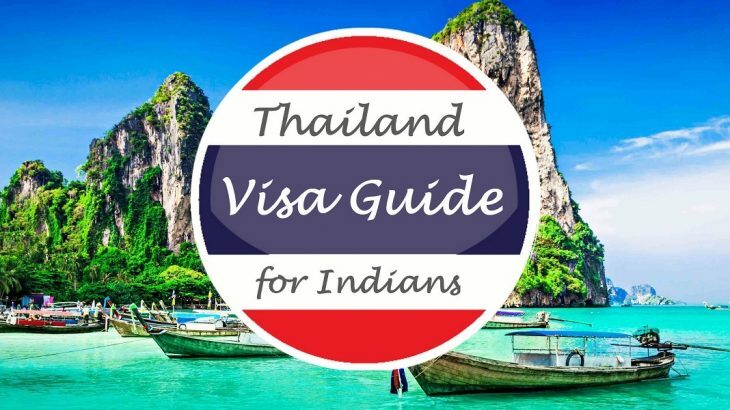 Indians who want to stay 15 or 30 days in Thailand are advised to obtain visas from the Royal Thai Embassy prior to their visit in any of these three cities – New Delhi, Chennai and Kolkata. The visa is issued with 3 months of validity under single entry scheme and 6 months of validity under multiple entry schemes. It will take 3-4 working days after your application is submitted. The tourist visa can also be extended up to 30 days if necessary. Visa application fee of 1,000 Baht for entry & is subject to change without notice. All, Destinations Places to Visit in Thailand, Thailand, Thailand Tour Packages, Thailand Tourism, Thailand Visa. permalink.